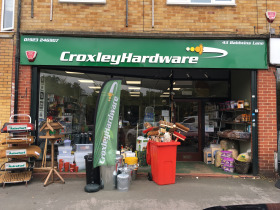 Following regular requests for ‘four candles’, a hardware shop owner in Croxley Green has made a unique set of candles from fork handles, much to the delight of his customers. 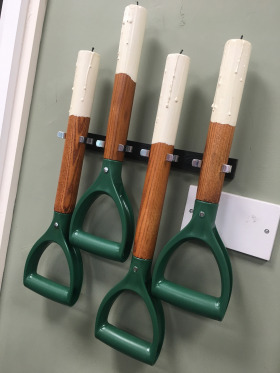 Inspired by the famous Two Ronnies comedy sketch, Tony Walker, the owner of Croxley Hardware near Rickmansworth, dutifully crafted his interpretation of the four candles from four wooden fork handles to put on display in the shop. The creation has been such a hit with his customers that some have even asked to have their photographs taken with them.